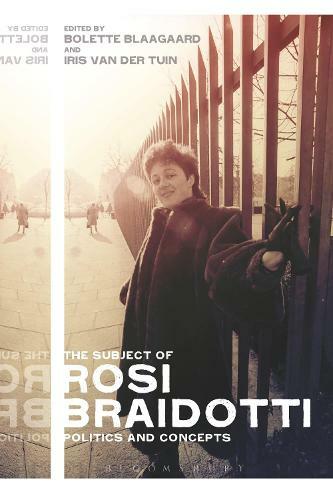 The Subject of Rosi Braidotti: Politics and Concepts brings into focus the diverse influence of the work of Rosi Braidotti on academic fields in the humanities and the social sciences such as the study and scholarship in - among others - feminist theory, political theory, continental philosophy, philosophy of science and technology, cultural studies, ethnicity and race studies. Inspired by Braidotti's philosophy of nomadic relations of embodied thought, the volume is a mapping exercise of productive engagements and instructive interactions by a variety of international, outstanding and world-renowned scholars with texts and concepts developed by Braidotti throughout her immense body of work. In Braidotti's work, traversing themes of engagements emerge of politics and philosophy across generations and continents. Therefore, the edited volume invites prominent scholars at different stages of their careers and from around the world to engage with Braidotti's work in terms of concepts and/or political practice.